Peoria Stations Distribute Smoke Alarms | Broadcast Public Service: Local Stations. Big Impact. 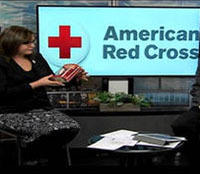 Nexstar Broadcasting’s CBS affiliate WMBD-TV and Cunningham’s Fox affiliate WYZZ Peoria, Ill. hosted a Smoke Alarm Phone-a-Thon on Jan. 9, through which viewers requested free smoke alarms to be installed in their homes. The effort is part of the national Home Fire Campaign, which aims to reduce the number of deaths and injuries from fires by 25 percent by 2019.